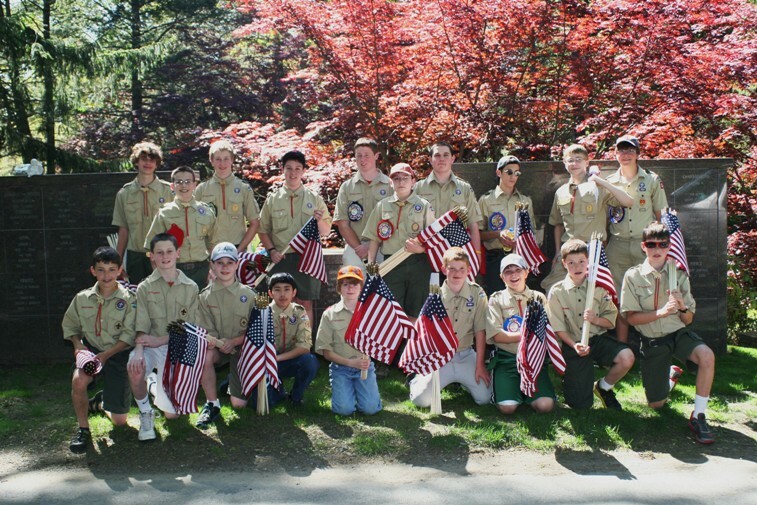 Members of Boy Scout Troop 152, led by Travis Sampson, replaced over 1200 worn and faded flags decorating the graves of U.S. Veterans at Quidnessett Memorial Cemetery in North Kingstown, Rhode Island. Star Scout, Travis Sampson directs the scouts in the replacement plan. 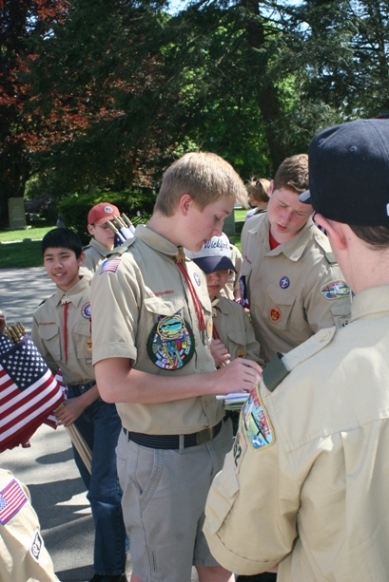 The Troop annually replaces the flags as a service to the community. 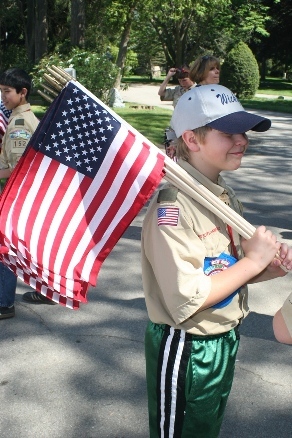 Troop 152 is chartered by the Veterans of Foreign Wars, Post 152. REMINDER: Quidnessett Memorial Cemetery will be holding a Memorial Day Concert at the cemetery. Please join us in celebrating this very special occasion! Website Design by Growing Minds, Inc.